It’s prognostication season and if there’s one thing the tech industry does well, it’s making bad predictions about itself. At SparkPost, we like a challenge so in this post, we’ll take a quick look at what we think we know about you, our community. Then we’ll make a few predictions of our own for the coming year, leaving ourselves completely open to your comments, flames and corrections if we turn out to be utterly wrong. SparkPost’s service is largely community-driven, which takes much of the sting out of making predictions. We listen to the email developer community and, when we see an opportunity that aligns with our core competencies – the stuff we do best – we take it. Our goal behind each feature we release and each policy we enact is to produce the greatest positive impact for the largest proportion of you. As part of that listening function, we’ve started paying closer attention to which software stacks you are all running. Our goal there is to learn where we should focus our efforts in the coming year for content, client libraries, integrations, sample apps and the like. We also just cannot resist a data trawl. Without further ado, here are some data points and commentary on the programming languages used in our email developer community. As befits the massive community interest, php-sparkpost was the first of our clients to reach 2.0 back in June. We’ll definitely be maintaining our focus on PHP through 2017 and if you’d like to chat about it, you can join us in the #php channel on our Community Slack team. 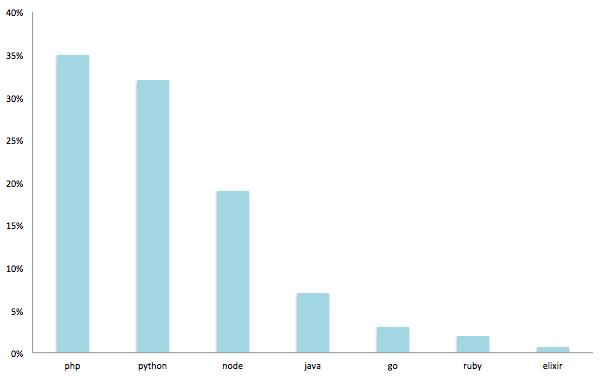 Node.js and Python are second and third in line. We use both extensively ourselves and we’ll certainly be keeping up momentum on our Node and python clients to match your needs. We also have #node and #python channels on CommSlack so come and chat – our client library maintainers are often lurking around in there. It’s heartening to see that we have a consistent group of functional coders in our own community. We see regular traffic from our Elixir client and even Haskell is represented. We love Elixir and will certainly keep a keen eye on this space. 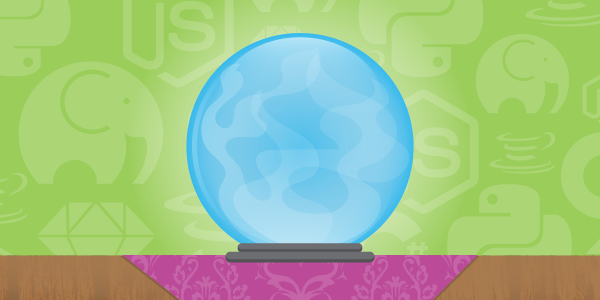 Hopefully you enjoyed that short view of your programming languages. If we missed your own choices or you disagree with our prognosticatory powah, tell us about it on Slack, Twitter or pigeon post.